Our Oklahoma City INFINITI dealership is proud to offer a large selection of sparkling new INFINITI models. We have the latest and greatest models, from spacious and stylish sedans to comfortable and practical family SUVs. No matter what sort of vehicle you need, we have a new INFINITI model that fits your requirements at our INFINITI dealer, Oklahoma City’s preferred destination for luxury vehicles. Browse our inventory and test-drive one of the many new INFINITI models at our Oklahoma City car dealership today to find the one you want. In addition to our inventory of new INFINITI models, we have many Certified Pre-Owned INFINITI models at our INFINITI dealership. All of these vehicles have undergone a thorough inspection and reconditioning process and they are protected by a limited warranty from INFINITI. Explore the Certified Pre-Owned inventory through our website to find the model you love, then visit our INFINITI dealer and speak with our friendly sales staff. Get more info on the INFINITI Certified Pre-Owned vehicles at the Bob Moore INFINITI dealership when you drop by our Oklahoma City location today. 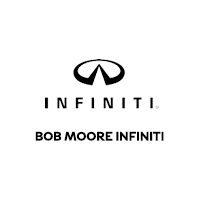 Bob Moore INFINITI also offers many pre-owned vehicles from INFINITI and other major manufacturers. Our selection of used cars is carefully curated by our highly experienced associates to ensure that our vehicles are much better than the average used cars in Oklahoma City. Come in and experience the difference for yourself when you test-drive whichever pre-owned vehicle catches your eye. Check out the inventory of used cars in Oklahoma City’s leading car dealership – Bob Moore INFINITI. Our site offers a convenient financing pre-approval application, which allows prospective car buyers to start the financing process from the comfort of their own home. Of course, you can always simply come into our Finance Center in Oklahoma City and meet with our highly experienced staff. We’ll be happy to help you find the right car loan or car lease for your situation so you can drive away in the INFINITI model of your dreams. Stop by the finance center at our INFINITI dealership today to learn more about your financing options. Our associates will be happy to help you finalize your financing so that you can drive away in the vehicle of your dreams. Drivers in the Oklahoma City area are welcome to come into our INFINITI dealership today to see what makes us different than other Oklahoma City car dealerships. We have a large selection of new and Certified Pre-Owned INFINITI models available for your consideration. Also, we have many premium used cars in Oklahoma City. While our selection is always fluctuating as our vehicles find new homes, we keep our site updated to reflect our current inventory. Our site also offers a financing pre-approval application that allows prospective car buyers to get the ball rolling on the financing for the vehicle they want. Schedule an appointment through our site now to test-drive one of the new INFINITI models we have in our inventory. We also have many fine used cars in Oklahoma City that you can test-drive.